The goal of Value Care is to relieve some of the worry that comes with trying to find caring and qualified in-home care for your loved one. With the goal of being the best nurse registry in Florida, we have been referring compassionate caregivers in Wellington and surrounding communities since 2007. During our Free Consultation we listen to your specific care needs. 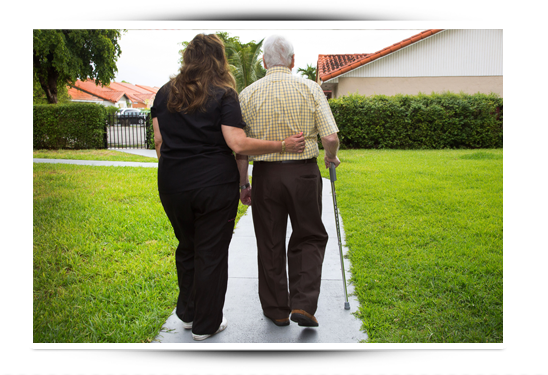 Then, we match clients with caregivers to manage schedules, specific care needs and budgets. The caregivers we refer to you offer personal support, companionship, errand accompaniment, home maker help, or other personal care service you may need. They travel to our clients and spend quality time caring for them. Through Value Care, our clients have found experienced professionals who also deeply care about them. We look for a great match, which is why caregiving professionals are referred through our Care Match Program and offer our First Day Satisfaction GUARANTEE. Beyond legally required screening and credential verification, we ask caregivers to go through additional screening procedures exclusive to us. Great references within the health industry. Our FIVE STAR PROMISE is our way of showing you we are confident the caregivers we refer are the best caregivers in Wellington and surrounding communities. In fact, we are so confident in our promise that we guarantee your satisfaction on the very first visit. We check in with you after the first visit to make sure you are 100% happy with your choice. Consider Us for your care needs today.